In couple of years, smart phones have gained a respectable nitch for them among the vast mobile users. It is already a billion dollar market and is going to be even bigger in few more years. Smart phones are popular because it let the mobile user conduct business from their own cell phone, enjoy multi media applications and even use their phones as user storage device (USB). Smart phones are cool and what makes them even cooler is the fact that there are hundreds of applications available that makes life even easier. So many customized options are available to suit individual needs. Microsoft Office is integral for any office. This application offer Microsoft Office that is customizable with your smart phone so that you can use Microsoft Office on the go. You can view, edit, create or delete Microsoft Word, Excel, and Power Point. 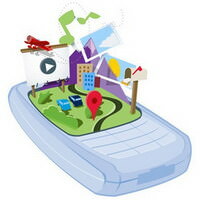 The platform used for this application is Palm. You can find more about Mobisystem OfficeSuite here. If you’re into traveling then it’s a very useful application as it tell worldwide weather, currency rate, day/night map and provides tip and tax calculator, clothing size converter, phone dialing code guide, packing list organizer and many other features suitable for travelers. This application comes in two editions. Standard application has features mentioned above where as Pro Version provides exclusive features such as flight details, travel itinerary and weather satellite imagery. 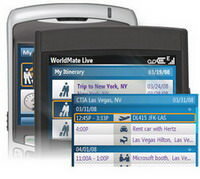 Many platforms support this application namely Palm, Windows Mobile, Backberry, Symbian. You can find more about this software here. This is an interesting application especially for those who are weight watchers. It acts as a personal trainer by keeping track of your diet and physical fitness progress through BMI, photos, measurements. It also manages your workout schedule and meal planner. Best way to increase your vocabulary on the go. Check out the meaning of difficult words right on the spot. This application is actually a dictionary that contains largest and comprehensive list of words that never let you be at a loss for words situation. 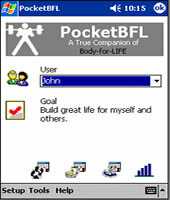 This application supports platforms of Palm and Windows Mobile. Find about this dictionary here. These are two different applications actually but equally popular. One among those who wants to keep tabs on their money and e-Mobile Sports is obviously for sports fanatics. E-Mobile Stock gives information on stocks and mutual funds and let mobile user access details such as quotes, daily range, and volume. E-Mobile Sports provides live news about sports, overviews and scores to its sports lover mobile users. Platforms used are BlackBerry, Windows Mobile and Symbian. You can checkout more about E-Mobile Sports here and e-Mobile Stocks here.